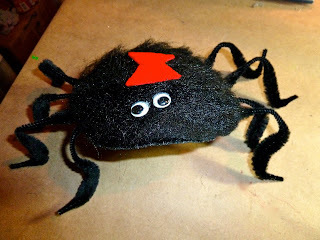 This creepy little spider is an easy Halloween craft to make with your children. 1. 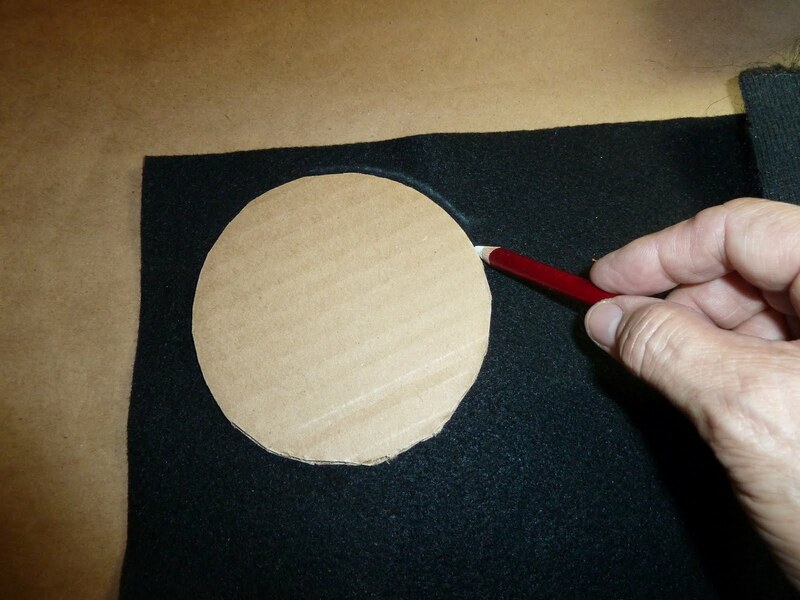 Use the cardboard to cut a circle as a pattern for the size spider you desire. I made a circle template because all of the pieces are dark and it is easier to trace around that way. (They can be made in various sizes and displayed in groups) For the size pictured I traced around a masking tape roll but you can use a compass to cut any size you want. 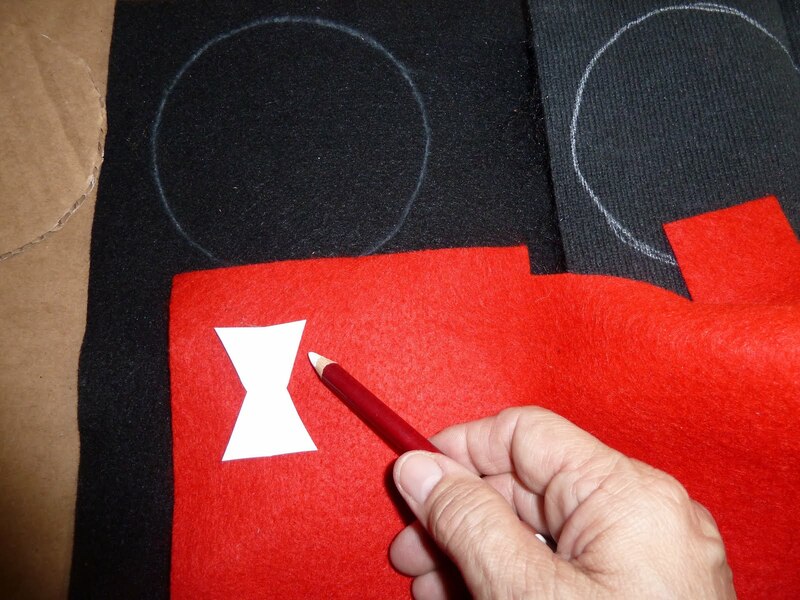 After you make the pattern cut one circle from the fur and one from the felt. 2. Cut an hourglass shape out of the red felt. 3. 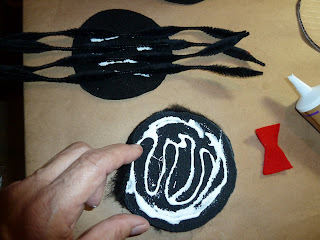 Glue four bump style chenille stems across the black felt circle and let dry. 4. 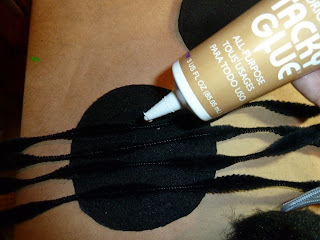 Using a generous amount of Tacky glue attach the fur circle onto the top of the black felt that you have glued the chenille stems. Make sure they meet at the edges. Let the glue dry completely. Trim the fur if needed. 5. Glue on two wiggly eyes and the red hourglass onto the top of the fur. Bend the legs as desired, fluff the fur and enjoy. If all spiders were as cute as this one they'd be kept as pets and loved by all. Clever idea. newest follower from the hop! :) can't wait to hear from you! My grandson would love this! We are going to have to make one these for sure! Found you at the under 300 hop and I am your newest follower! I am a new follower from the hop! This is so much fun, I love it! Visiting from the 300 blog hop! Nice to find your blog. this is so cute and not to mention easy! That's really good. Thanks for sharing.